Now another company, Lyft, is trying to give Uber a run for its money. A peer-to-peer ride-hailing app now available in 65 U.S. cities, Lyft is known for its pink-mustachioed cars. 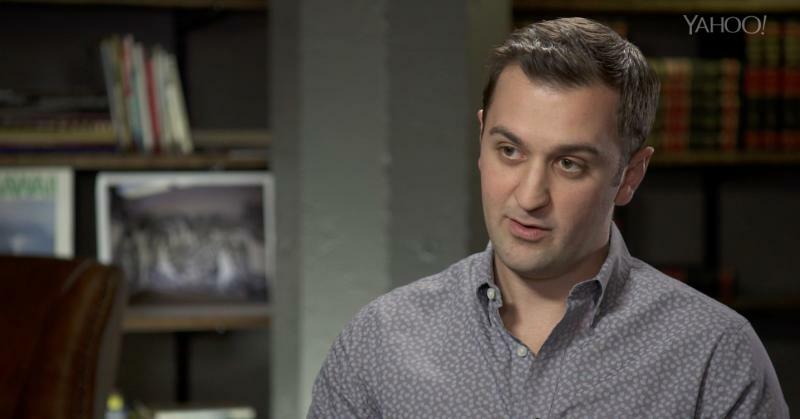 Yahoo Global News Anchor Katie Couric visited the Lyft headquarters in San Francisco to chat with cofounder and President John Zimmer. On the way to the interview, Katie caught a ride from Lyft driver Kristen, a 49-year-old single grandma and happy road warrior in the fight against Uber. Kristen is using Lyft as a way to support her family while attending college to become a mechanical engineer. According to her, the flexible work hours have been the perfect way for her to juggle her hectic lifestyle while maintaining a steady income. Kristen is enthusiastic to be a part of the Lyft family, even if it requires dealing with some intoxicated passengers during evening trips. But on the positive side, a study conducted by Uber and Mothers Against Drunk Driving found drunk-driving crashes fell 6.5 percent among drivers under 30 in cities where these ride-hailing services had been launched. Nonetheless, recent news shows both Lyft and Uber have some roadblocks ahead. The companies are currently facing separate lawsuits seeking class-action status in San Francisco federal court, initiated by drivers who believe they are employees entitled to reimbursement and should not be treated as independent contractors. Add to that a new competitor in the race, Google, which is reportedly working on its own ride-sharing app. With an increasing number of drivers and passengers getting onboard with Lyft, expect to see more pink “glowstaches” cruising down your town’s highways.